Mainstream junkies, listen up! A new artist has been born and if the North Star that is the annual BBC Sound Of… Poll is anything to go by, this singer may just be the next big thing entering the music industry’s A-list. Briton Sam Smith is the latest shining gem to emerge from the melancholic abyss of soul that is the Third British Invasion. Hailed as the “Voice of 2014” by music critics worldwide, the 21-year-old is possibly the next big artist to blaze the English trail after torchbearer Amy Winehouse and fresh-faced queens of blue-eyed soul Duffy and Adele. With the same soulful, down-to-earth persona that helped previous acts garner acclaim as humble “anti-popstars”, Sam joins a respectable breed of artists who let their talent do all the talking. If you’re a fan of Britpop the clincher here is that you might have heard Sam’s crooning without even realising it. His vocals have been featured on dance hits such as Disclosure‘s 2012 single “Latch” and the UK number one hit “La La La” produced by Naughty Boy. Both made waves in the club scene and spawned a whole lot of remixes, but Sam expressed interest in a different musical direction with the release of the relatively calmer track “Lay Me Down” in February 2013. This beautiful track serves as his debut solo single, as well as the lead single from his upcoming debut album. Now, you’d think that after gifting the world with such an amazing song Sam would start pushing his album throughout 2013. But the universe had bigger plans for this Londoner and he basically took an entire year off, going on a few tour venues while effortlessly picking up a few toys such as a BRIT Award and winning the BBC Sound Of 2014 Poll (!). No biggie. But in all seriousness, these nominations and wins are blaring sirens foreshadowing his success. With past BBC Sound Of… winners going on to become music’s most talked about and respected artists (think Adele, Jessie J, Ellie Goulding, Haim etc. ), it’s only natural to expect Sam achieving at least THAT level of stardom soon. Fast forward a year into 2014 and we’ve been teased with yet another single. “Money On My Mind” is an uptempo track reminiscent of the synth- and beat-driven hits that catapulted Sam to his early success. With a chorus like “I don’t have money on my mind/money on my mind/I do it for/I do it for the love”, he makes a pretty bold declaration for someone on the cusp of earning millions, doncha think? Now on to the main course: the album. 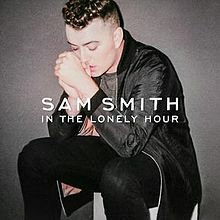 Sam’s debut studio compilation “In The Lonely Hour” is a 10-track effort set to be ushered into the world on the 26th of May this year. That might be a long wait but judging from how little we know about its contents we might just be looking at a third single before the release date (yay). Sam has, however, outlined the theme of the album. Responding to comments about the depressing title, he unabashedly confirmed the “sad” mood of the compilation. “That’s what it’s about. I was sad and I wrote about being sad.” So basically, just prepare twice the amount of tissues you used to get through Adele’s “21”. WHY: Killer voice that’s agile as it is extensive. Doesn’t rely on stock lyrics such as “come on”, “girl” or excessive repetition of “tonight”. On the edge of plunging into global acclaim so you get indie cred for liking him now! Being name-checked by Adele herself doesn’t hurt, either! BONUS: he’s a massive Beyoncé fan.